In order to get the best possible finish on your products, you can’t underestimate the value of effective pre-treatment – cleaning the product before painting. The quality of your surface preparation is essential part of achieving a high standard of finish on your product and massively influences all subsequent finishing processes. Our powder coating pre-treatment systems ensure that you can cut through and remove all the oils, dirt and other contaminants from the surfaces of your product, as well as treating it with your preferred conversion coatings or an iron phosphate to prevent corrosion and increase the quality of paint/powder adhesion. 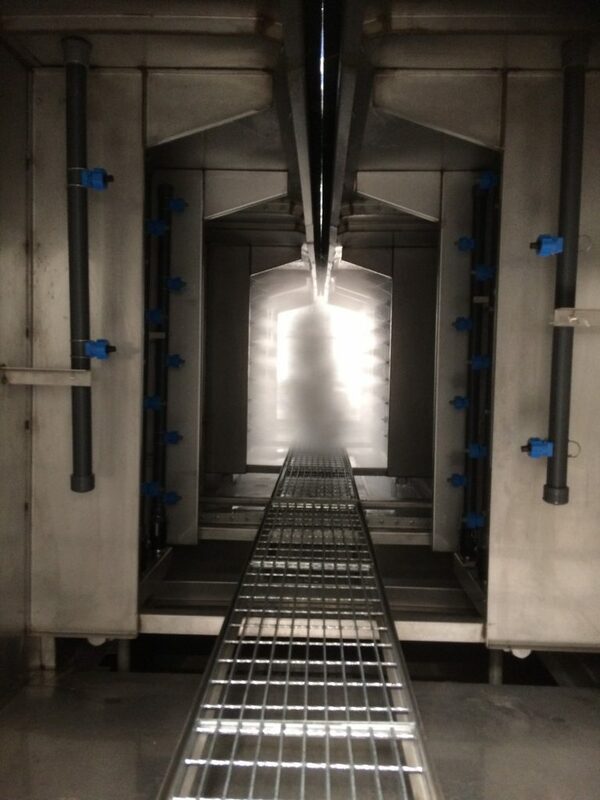 Our pre-treatment systems include models such as continuous spray, tunnel type, immersion (dip tanks), batch loaded semi-automatic washers and box washers. At PB Metal Finishing Systems, our powder coating pre-treatment systems are constructed to your company’s requirements, providing you with the flexibility you need to carry out your processes with ease. By manufacturing your pre-treatment systems to the highest standards, you can rest assured you’ll receive efficient and cost effective equipment from the team at PB Metal Finishing Systems. You’ll also receive an excellent level of customer service from our dedicated team, who’ll be on hand to answer any questions you may have about your powder coating pre-treatment system.